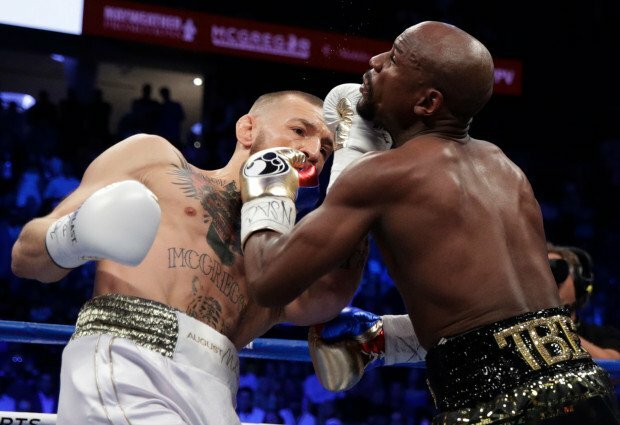 Conor McGregor Reacts Loss Against Floyd Mayweather Jr.
Conor McGregor Loss Against Floyd Mayweather Jr. he wanted to go on. After 10 grueling rounds Mayweather Jr. finished McGregor in a TKO (technical knockout) where the referee stopped the fight. It was clear to everyone looking on and watching the Irishman was struggling and could not take any more of Mayweather’s hand. Conor “I thought it was close it and I thought it was a little early for the stoppage… there was a lot on the line and he [referee] should have let me going” Conor said in the post-fight conference. Well it seems that Conor thought that he could take some more and wanted to keep going. Not sure that would have made a difference to the outcome of the bout after seeing how the fight was going by the 10th round. “I though the ref should have let me go on a little. Let me go down, let the man put me down. I was a bit wobbly and fatigue that energy that not damage that fatigue” – Conor McGegor. He may have been right if the referee had allowed Conor McGregor to continue then Justin Bieber prediction they would not be a KO would have been wrong. Maywether would have completely KO McGregor. Mayweather came in slow in the 1st round even taking a few punches from McGregor. Then he spent the round 2 and 3 tiring out Conor McGregor and quite frankly McGregor should have not fallen for that strategy. He should have known Mayweather style if he had studied his previous fights before stepping into the ring last night. “All in all it was fair play” Conor has said. Seems like he is proud of his pro boxing debut last night. When asked would he box again, McGregor responded “I don’t know, I don’t know we see what happens” but he has assured his fan that he will be fighting in the UFC again soon.